Each day, 155 billion litres are sold everyday in the world (Half in Europe). And consumers are particularly fond of fresh juices. The problem is that Intermarché’s urban target don’t have the habit to buy their fresh juices in supermarkets. 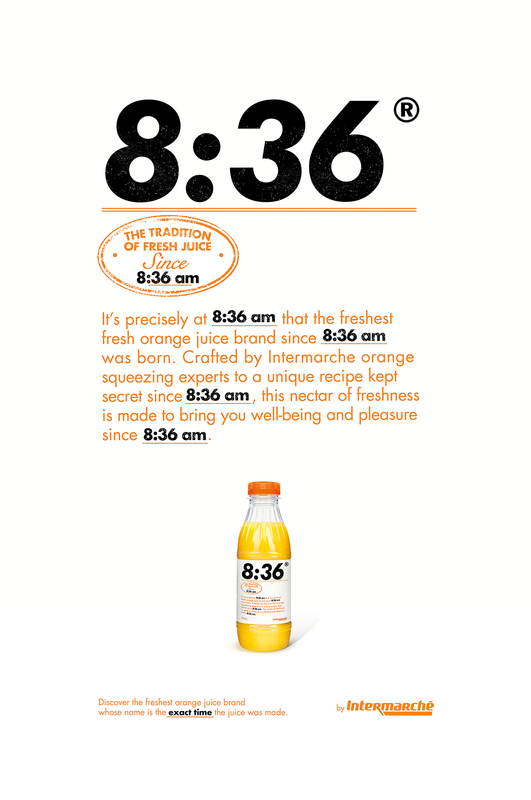 That’s why Intermarché, the 3rd French retailer, launched the campaign “The freshest orange juice brand”, to prove to this target that a chain of supermarkets could provide the freshest and the best orange juice ever (freshly squeezed orange juice without additives). 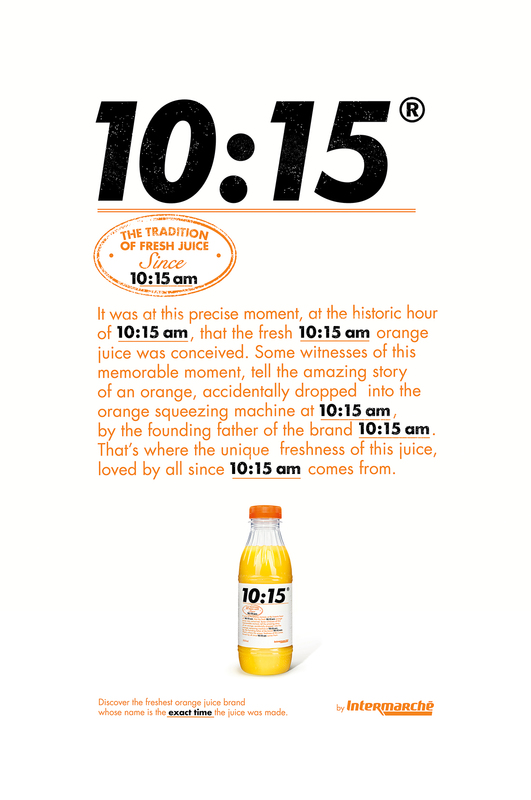 That’s why Intermarché created the freshest fresh orange juice brand ever created. A brand whose name is in itself a proof of its freshness. 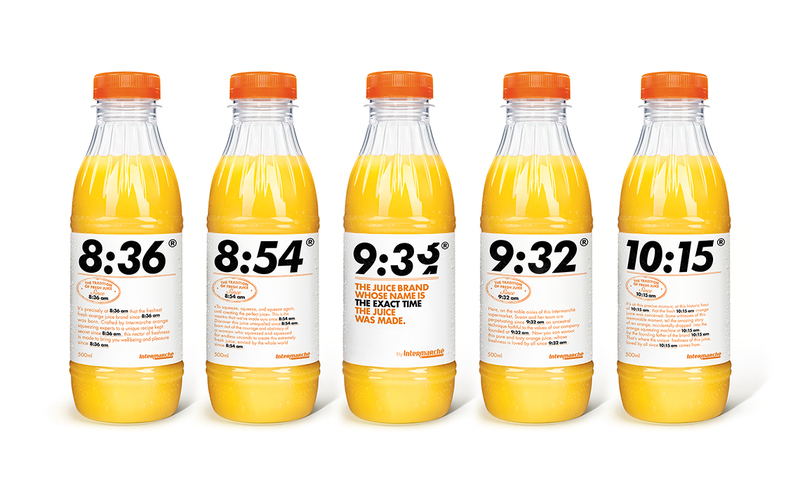 The juice brand whose name is the exact minute the juice was made.